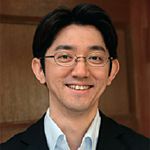 Tsuyoshi Kawase is a Professor in the Faculty of Law at Sophia University and a Faculty Fellow at the Research Institute of Economy, Trade and Industry (RIETI). His areas of expertise include international economic law and trade policy. LLM, Keio University, Georgetown University Law Center (GULC). Member of Subcommittee on Trade Remedies, Industrial Structure Council, Ministry of Economy, Trade and Industry, (METI), Government of Japan. Former: Associate Professor, Osaka University; Deputy Director for WTO affairs including disputes, DSU negotiation, GATT, and trade remedies, METI; Fellow, Institute for International Economic Law, GULC; Assistant/Associate Professor, Kobe University of Commerce.